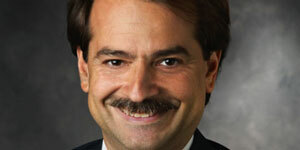 John Ioannidis, professor of medicine, and health research and policy, Stanford University, will discuss issues pertaining to the reproducibility of methods, results and inferences for various types of scientific investigation. He will give an overview of the status of reproducibility in research, discuss other components of research that may enhance its utility, and propose ways to correct deficiencies. Professor Ioannidis’ talk — 3-4:30 p.m.